Published by Tiendeo Web Marketing, S.L. Discover catalogues, offers and leaflets from shops near you! Tesco, Currys, Argos, Topshop, Boots and many more: all the current offers from your favourite stores in your hand. Download the free Tiendeo app and you make sure you don't miss any deals! 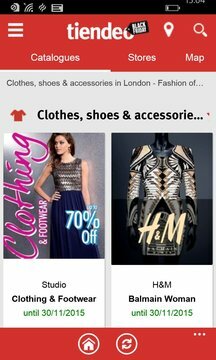 - Flip through the current catalogues of stores in your area. - Find shops, addresses, phone numbers and opening hours. - Search for products in the catalogues and save the best deals. - Choose your favourite stores: we'll let you know when they update their offers. 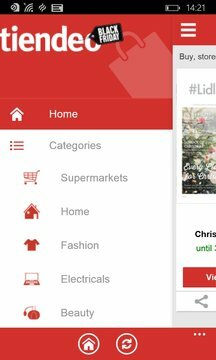 DNA: "This free app is the best way to find out before you go shopping." 20 minutes: "All the catalogues are located on the map." El Periodico: "The end of the mailshot." Revista Pronto: "Catalogues with offers from the most popular shops - An interesting alternative to mailing."